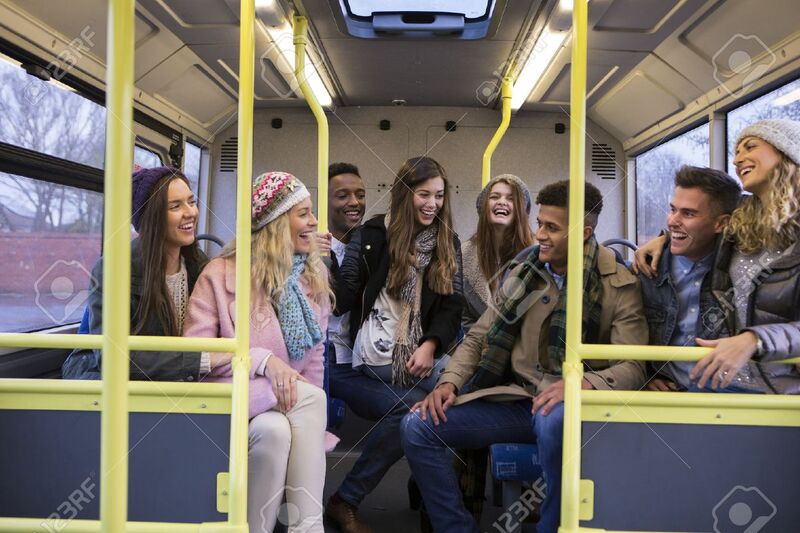 Group Of Young Adults Sitting Together At The Back Of The Bus. They Are Laughing And Talking. Royalty Free Fotografie A Reklamní Fotografie. Image 43009824. Reklamní fotografie - Group of young adults sitting together at the back of the bus. They are laughing and talking. Group of young adults sitting together at the back of the bus. They are laughing and talking.